Peter Bickford is an independent counselor and arbitrator focusing particularly in the areas of insurance and reinsurance operational, regulatory and solvency issues. In addition to being a practicing attorney for over 30 years, he has been an officer of both a life insurance company and a property/casualty insurance and reinsurance facility with line responsibility for its contract and claims operations. He is an ARIAS-U.S. certified arbitrator and umpire, and because of his business background is uniquely qualified for insurance and reinsurance arbitrations that call for operational as well as legal experience and expertise. 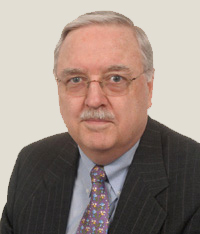 1999 to 2002 — Co-Chair of the Insurance Corporate and Regulatory Department of the National law firm, Cozen O’Connor. 1988 to 1998 — Founding partner of the insurance and reinsurance boutique law firm of Bickford & Hahn LLP. 1986 to 1988 — Of counsel to insurance and reinsurance law firm of Calinoff & Katz. 1980 to 1985 — Vice President, General Counsel and Secretary of the New York Insurance Exchange, Inc., an insurance and reinsurance underwriting facility based on the Lloyd’s model; line responsibility for its contract and claims facilities. 1970 to 1979 — Associate and Partner of the New York law firm of Eaton & Van Winkle, concentrating primarily on corporate and financial transactions. 1964 to 1970 — Associate General Counsel of The United States Life Insurance Company. In 1967 became counsel and Secretary to the first insurance holding company in New York, USLIFE Corporation and its subsidiaries, including United States Life. LL.M. (in Taxation), 1967, New York University. Admitted to practice in New York and in the United States District Courts for the Southern and Eastern Districts of New York, and the United States Tax Court. Member of the American Bar Association; the New York State Bar Association; and the Association of the Bar of the City of New York (four-term member of the Insurance Committee). Author of a regularly featured column, Insight, in the insurance trade magazine, Insurance Advocate. Co-author of a regularly featured column, Present Value, in AIRROC Matters, the quarterly publication of the Association of Insurance and Reinsurance Runoff Companies. Frequent speaker and contributor to trade and legal publications on insurance, reinsurance and insolvency issues. Author of Exchange: A Guide to an Alternative Insurance Market (NILS Publishing Co. 1987) and the chapter on specialized non-life entities in the multi-volume legal treatise published by Matthew Bender & Co., New York Insurance Law & Practice. Appointed by New York Superintendent of Insurance James Wrynn in February 2010 as a Special Advisor to the Insurance Department’s Working Group on reviving a New York insurance exchange, intended to be a Lloyd’s type insurance market in the US. A member of the Firestorm Solutions Expert Council, which brings together a network of specialists from various disciplines, professions and industries to develop solutions to complex problems in business continuity planning, vulnerability analysis, risk mitigation and crisis management. Counsel and charter member of the Advisory Board of Insurance Friends of the National Hurricane Center, a non-profit organization of insurance and reinsurance entities that provided funding for projects aimed at enhancing the reliability and timeliness of direction and intensity forecasts of tropical storms, and to enhance communications of such information to the public and the insurance industry.